The GT will score Battle Points, Etiquette, and Hobby for a variety of awards while encouraging Good Sportsmanship. Matched play event with paired teams. This is a standalone event, although the winning grand alliance will provide bonuses to following narrative events. 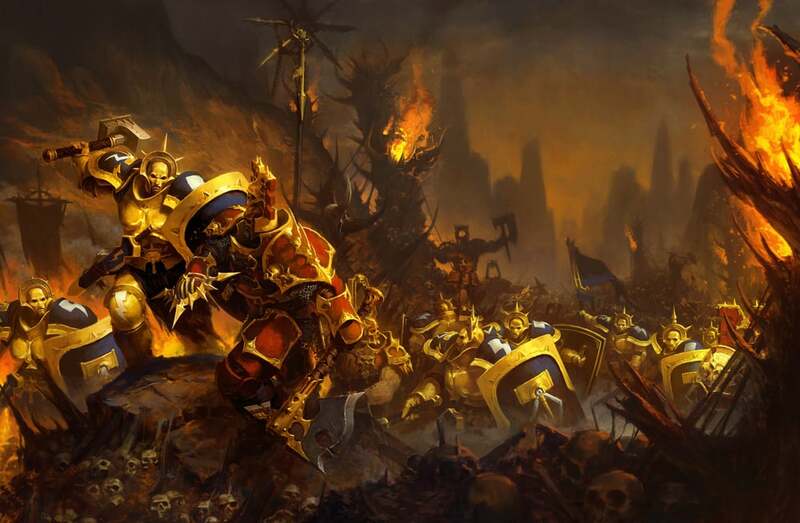 Players bring 500 and 1500 point armies to play in a variety of team based narrative play. Two games with 500 point armies and three games with 1500 points. Kidshammer is an introduction to tabletop miniature gaming set in Games Workshop’s popular Age of Sigmar (AoS) fantasy and Warhammer 40,000 (40k) science fantasy universes. Aimed for children aged 10-15, the event will provide open gaming, coaching, and painting tutorial on day one, and a friendly, three-round tournament on day two. All kids will receive their own miniatures kit as part of this ticket.